The first restaurant had a clear and simple purpose: to serve restorative bouillons called restaurants. But that purpose is now an historical curiosity, not a defining aspect of today’s restaurants. Nor did Diderot, the only writer to leave a personal account of the first restaurant, mention bouillons in his accounts. What then made the restaurant significant? The details vary, but most often it is said that the restaurant was the first public eatery where one could dine at individual tables and choose individual dishes. Some credit it with introducing the menu. Diderot liked the fact that one could dine there at any time. Another argument is that prior to the restaurant there had been no “destinations”; that is preferred eateries which people sought out. What is the restaurant thought to have so dramatically replaced? Repeatedly, writers say that before the restaurant one could only dine out at a table d’hôte – that is, a collective table where one sat with strangers and ate whatever meal was served – or, less frequently, that one could have roast meat in a tavern or cabaret. Relative to these options, the restaurant does indeed seem like a major innovation. To complicate matters, the latter claims do have some foundation. By the mid-eighteenth century, both inns and traiteurs did indeed often offer tables d’hôtes (though sometimes several at different prices). However, these were not the only public dining options. It is also true that by the start of the century, taverns and cabarets were, in theory at least, limited to selling roast or grilled meats, mainly due to pressure from the traiteurs’ (cooks-caterers) corporation. But these limits came late in French history; for a long time, taverns and cabarets had sold far more varied food. This may still have been the case when the restaurant appeared. One issue in discussions of the restaurant is that writers on the subject tend to present what came before it as uniform, when in fact the appearance of the restaurant was only one of several shifts in public dining in France, and not, at that, the most substantial. 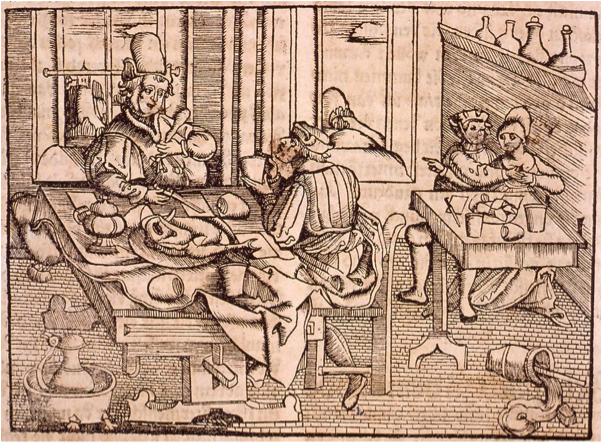 In the fourteenth century, inns and taverns (which were often one and the same) were the main public meal providers. Then a Flemish word (borrowed from the Picard for “little room”)became current in Paris: cabaret. A cabaret was much like a tavern – a wine shop, which also sold food – but very soon rose to a higher status. 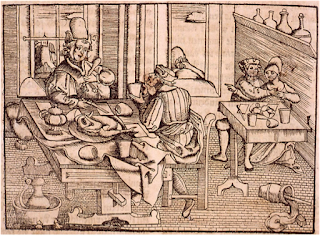 At the start of the sixteenth century, inns, taverns and cabarets were all on the same footing in regard to food service; by the end of the century, the better public meals were all served in cabarets. Meanwhile, in 1571, cooks tried to obtain statutes as a corporation (trades group). Those opposing this warned that such a corporation would make both being a cook and buying meals more expensive and interfere with numerous others who were then serving food. This is exactly what happened after 1599, when the chefs and cooks got their first statutes and, right from the start, the exclusive right to host weddings and feasts. Over time, this group would become known as the traiteurs and indeed proved very aggressive in displacing other groups from quality food service. In 1690, an English dictionary defined “table d’hôte” (“host’s table”) simply as dining with the inn’s host. In 1692, Pradel listed several tables d’auberge (“inn’s tables”) as serving full meals for a set price; by 1701, a French dictionary cited only the word table d’hôte for the same purpose. Though these began in inns, traiteurs were soon hosting tables d’hôte as well. But the main eatery cited as an antecedent to the restaurant was in fact less than a century old when the latter appeared. Of all these shifts, including (in 1767) the introduction of the restaurant, the one with by far the most impact was the establishment of the traiteurs as a corporation. This created the first professional group dedicated only to meal service, a group, which would define that concept going forward. Why then is the appearance of the restaurant more often discussed? Partially because it is the most recent in memory of these changes, but also because it left us the term itself. Knowing that tables d’hôte did not even exist until the end of the seventeenth century, it should be clear that diners had other options before these. These options often included individual items, whether or not they were (as seems likely) selected by each diner. The better to remember me by? The speaker clearly is getting personal service; he is addressing his waiter. He is not paying a set sum (as one did) for a table d’hôte, but the sum of the cost of individual items. 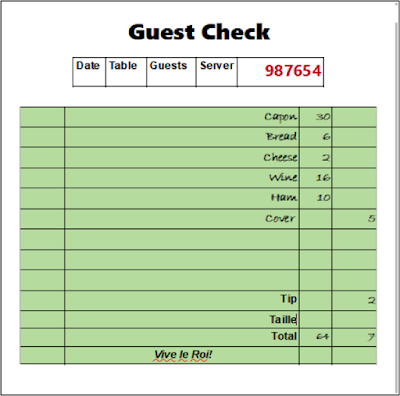 (This is emphasized by his asking the waiter to check his math.) It seems very likely he ordered these. Finally – and quite exceptionally – he tells us how much he is tipping. Note especially the charge for bonne chère. Normally this would refer to a good welcome or a good meal. But a 1771 dictionary glosses it as follows: “It is said at Cabarets, so much for the bonne chère, that is, so much for the cover and other sundry charges, not counted in detail.” It was, in a word, a cover charge; that is, a line item. Another indication that, even as the restaurant appeared, cabarets were still selling meals and, yes, providing itemized bills. One can readily take these lines from a seventeenth century poem and transcribe them on a modern restaurant check. There is nothing in the least unfamiliar to a modern reader in how this meal is being billed. The fare is simple enough; the capon very likely was roasted. But it is, even by modern standards, a rounded meal. Note that cabarets in this period could not serve more flavorful food. When traiteurs raided one cabaret in 1662, they found breast of veal with béatilles (a rich and complex sauce) and chicken à la daube, both dishes well beyond simple roasted meats (which is exactly why the place was raided). In a novel from 1716, Bordelon shows the wife of a traiteur accosting a diner “armed with a bill, hastily scribbled, and full of errors in math to her advantage.” Such “errors” will be familiar to anyone who has traveled widely; they are only possible if the meal provider is totaling separate items, which is exactly what is implied here. In 1721, a cabaret keep complained to the police about eight people who had left an unpaid bill. They had ordered a supper of a fish stew, a salted salmon head, a fried carp, eight whitings, and eight sole. They then stayed (probably illegally) overnight and for breakfast had a scoter duck, a plate of smelt, and fifty oysters. (This was all fast day food, it being Lent.) With these, they had twenty bottles of wine, bringing the bill to eighty pounds. 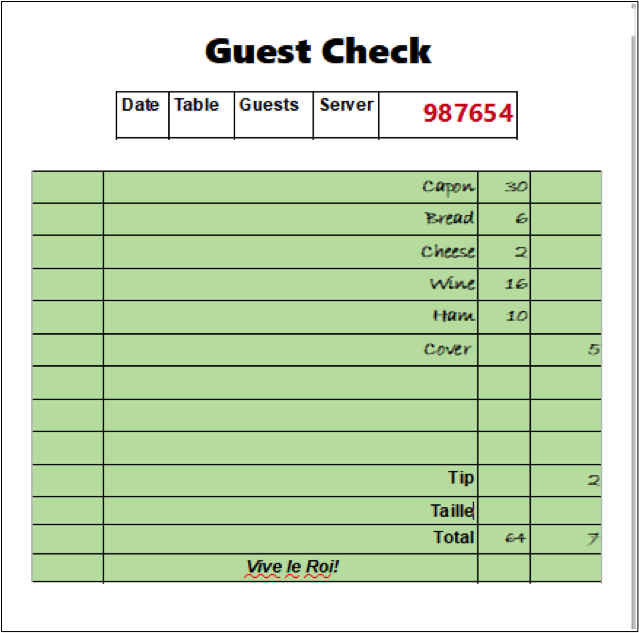 In filing his claim, the host did not say he had charged them so much per person; rather, it is clear that the bill represents the total cost of the individual items. Exactly as in a modern restaurant. *Today “stew”, but probably at this point a piece of veal with sauce. The bill for supper was similar. Again, these are like modern restaurant bills. The lawyer was clearly not paying a set price for a table d’hôte, but rather the total cost of specific items; also, having paid for a single meal, it seems very likely he sat alone. For an eight pound sirloin, ten francs. For two wild rabbits, four pounds, ten sols. For twelve ortolans, eighteen pounds. Ingredients and the making, shopping done, one Louis. A leg of lamb, six francs. One hundred sols for dessert. Note that if this is, like the poem above, a fictional piece, both are addressed to people familiar with these places who presumably found these portrayals credible. And again, rather than presenting a bill which reflects so much per person for a single meal, the traiteur lists exactly what he provided and how much each item cost – just as a restaurant would today. Once again, the accounts show these charges by item, even though the cabaret charged other rates (by the head) for catered meals. Notably this shows that even when an establishment advertised (as was most often the case) prices by the meal (that is, by the head), it could still also offer dishes à la carte. Other such examples exist. Taken together, what they show is that, well before the restaurant, one could order individual items and meal providers (cabarets, inns, and traiteurs) offered options beyond collective tables d’hôte. Conversely, even after the restaurant appeared, many places continued to offer tables d’hôte, which after all had the advantage of offering set meals at predetermined prices. But in offering individual choice, restaurants were at best expanding options, which had long been part of French food service. They certainly did not introduce the idea. "set a reasonable price for all victuals such as white, brown or black bread, wine by the pint in all colors . . . beef, mutton, veal by the pound or size of the piece, and according to the place, kid, lambs, pigs, geese, goslings, capons, hens, chickens, hares, rabbits, partridge, snipe and other birds commonly sold in these places, bacon, cheese . . . oil, verjuice, vinegar, mustard by measure, sugar and all other spices by weight, fresh and salted fish by weight or measure, eggs by the number and butter by weight, greens, legumes and other required and necessary things." 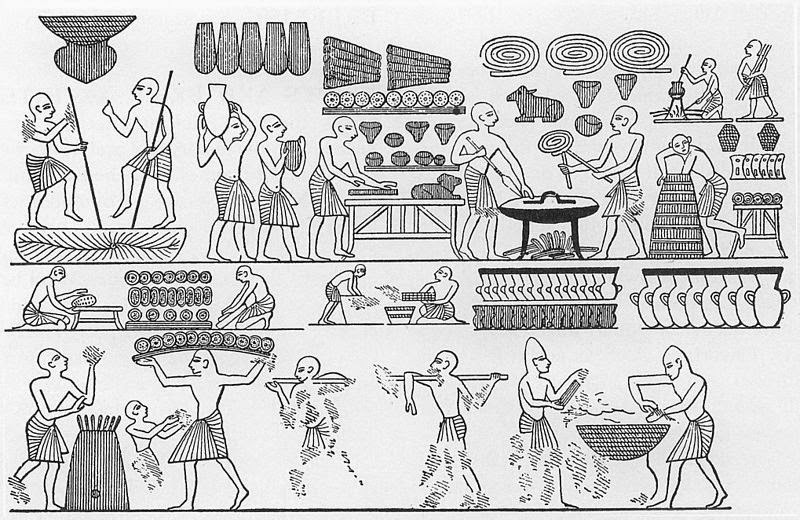 The range of items listed – including flavorings, greens, and legumes – makes it clear that at least some places already served complete and probably even sophisticated meals, not just roast meats. After he issued a similar statute in 1532, officials in Auvergne set prices, which have survived. Though these are largely prices for pieces of meat, among the options they list are “a bowl of bouillon without bread”, “two eggs cooked without sauce” and “a slice of pike the length of a quarter, between tail and head” – items which look very much like modern menu entries. And in fact such official lists of prices were supposed to be displayed at the door. “What will it please you to eat? While data is lighter for the fourteenth century, Watriquet de Couvin shows three women then ordering a variety of different foods as they go around taverns by the Halles market: tripe, then roast goose, roast garlic and “cake” (gastel), then wafers and waffles, then cheese and almonds, then pears, spices (probably candied) and walnuts, then herring, then tripe again. It is clear that in each place they order what they want. Note that there is nothing satirical or exaggerated in this list of offerings, several of which – tripe, herring, cheese, even roast goose – are well-documented as common foods. There is every reason to believe that period readers (or more likely listeners) would have accepted them as familiar options in taverns, as they would also have accepted that the women could order these items at will. Conversely, none of this is at all elegant or sophisticated. If one could eat a variety of foods in a fourteenth century tavern, it is likely that Parisians had to wait for cabarets to eat at all well in public. Still, they were doing so long before the restaurant. Otherwise, while laws, custom and the role of each class of eatery would change over the centuries, it should be clear that the simple fact of ordering select dishes was in no way an eighteenth century innovation. Before the restaurant, did those with a choice just go to any old eatery, with no concern for the place’s reputation? Hardly. The Pomme de Pin, a tavern on the Île de la Cité, was already known in the fourteenth century. In the fifteenth century, plotters met for breakfast there. It was still famous in the sixteenth century, when Rabelais wrote of people who “fed in the admirable taverns of the Pomme de Pin, of the Castel, of the Madeleine and of the Mule on fine shoulders of mutton flavored with parsley.” Clearly, the other places named also had reputations then. Decades later, Bodin, criticizing luxury in dining, wrote grumpily: “Everyone today wants to go dine at the Moor’s, Sanson’s, Innocent’s and Havart’s.” Clearly, these were, in modern terms, the trendy places. The Moor’s – Le Petit Maure – was particularly well-known. When the essayist Montaigne went to Tuscany, he wrote that the local nobility went to a place there “as they do to the Moor’s in Paris”. 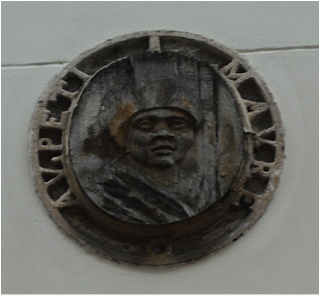 One person who went to the latter was Henry IV. Similar examples exist in the seventeenth century; even, arguably in the fourteenth, when Deschamps, complaining about German inns, including how one dined there, wrote “one is better served at the inns of the Cossonnerie, the Cannettes and the Trois Roys”. Simply put, Parisians have gone to favored places to eat for centuries. The restaurant is merely heir to that tradition. another famous image by Boulogne shows a group gathered around a small table, drinking, reveling and making inroads on an indistinct food (a pasty? a loaf of bread?). Some early restaurants offered particularly private places, similar to booths, or even private rooms. But that certainly is not a universal feature of restaurants today, whereas the kind of separate tables shown in earlier images are standard. Nor did private rooms first appear in eateries with the restaurant. In the seventeenth century, at least one place in the Marais was known for offering a private room to couples who wanted to dine alone and then… be left undisturbed. It is unlikely it was the only one. 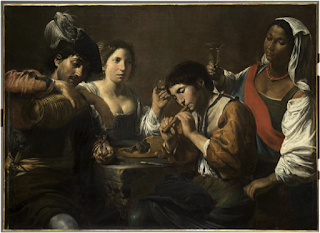 What was exceptional in fact was the idea of eating at a common table with strangers – an idea which only appeared towards the end of the seventeenth century and even after that was not universal. The question of menus is less clear-cut. François I’s 1532 statute above ordered that “each inn keep will have on the door of his lodging a table, on which will be written the prices, rates and other things said above...”; another later that year specified that “where the lodgers, eaters and drinkers at the said inns, cabarets and taverns do not find the rates written on a table at the door... “ they could complain to the local judge. Charles IX would later issue a similar statute. And so, officially, the main meal providers were supposed to post menus (listing the officially approved prices). Did they? Several statutes complain that previous ones were ignored, and one can readily imagine that places which could get away with it tried to avoid posting the official prices. But the concept certainly existed by the sixteenth century. Conversely, it is not in the least sure when hand-held menus appeared later. The idea that they did not before the restaurant assumes (wrongly) that all meals were served as a single unit (that is, at a table d’hôte). It is possible, if not so far documented, that some cabarets or traiteurs provided these before the restaurant. 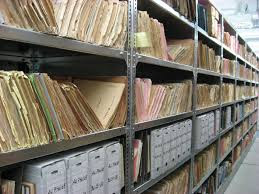 Certainly, where people selected individual items, it is hard to imagine them doing so without some form of list. Historian Rebecca Spang cites a play from 1769, which shows a restaurateur reading from a menu; and so these existed, if not certainly in Roze’s first restaurant, soon after. But even in the eighteenth century, it is rare to see them mentioned, nor is it certain that they were uniquely offered by restaurants. In 1788, Doppet wrote under an entry for "Traiteurs": “All those who provide meals are always careful to provide on the table a sheet where all the dishes they have to provide to guests are registered; thus as the sheet goes from hand to hand, one hears cried, cabbage soup, larded boiled beef, broad beans, etc.” His initial phrase – “all those who provide meals” – makes it clear that this applied equally to traiteurs and restaurateurs (if in fact they could be distinguished at this point), possibly even to inns and cabarets. The fact that he found it necessary to explain this practice suggests that even then (over twenty years after the first restaurant) it was a novelty. Given how rarely menus are mentioned in the decades following the first restaurant, one cannot assume that if they had existed before that, they would have been cited. Again, the idea that they did not exist seems based only on the assumption that people ordered their meal as a whole, not by item. And we have seen that in fact that was not the case. There is simply too little available data to be categorical on this point one way or the other. As a practical matter, this means that when you see a reference to a “restaurateur” in the late eighteenth century, it is very like a contraction of “traiteur-restaurateur”; that is, a hybrid of the two concepts. What did the restaurant bring to the mix? First of all, the name, which of the two terms would win out in the end; and so what were actually, for the most part, traiteurs were rebaptized, first, as “restaurateurs” and then (much later) as “restaurants”. With this, the restaurant made décor an element in dining. Before the restaurant, eating places were not elegant, but cafés – since Procope – were; Savary wrote in 1744: “Paris cafés are for the most part refuges magnificently adorned with marble tables, mirrors and crystal chandeliers.” The first restorers introduced the elegance of cafes into eating places. For a while, too, some continued to serve restorants. But the substance of the restaurant as we know it today – serving a variety of foods of a quality in keeping with the status of each establishment, allowing the choice of individual dishes, and offering separate seating for separate parties, not to mention the social role of a place whose crowd can be as important as its food – was established by the traiteurs and even the cabarets which came before them. Simply put, the restaurant brought cosmetic changes to how Parisians dined, but little that was substantial. Roze de Chantoiseau’s trendy health food outlet with a cafe’s elegance inflected, but did not fundamentally transform, practices, which had then existed for over a century. 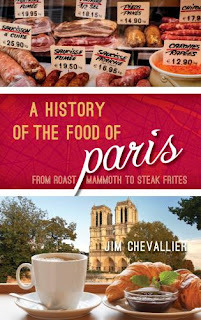 Jim Chevallier's most recent book is A History of the Food of Paris: From Roast Mammoth to Steak Frites. 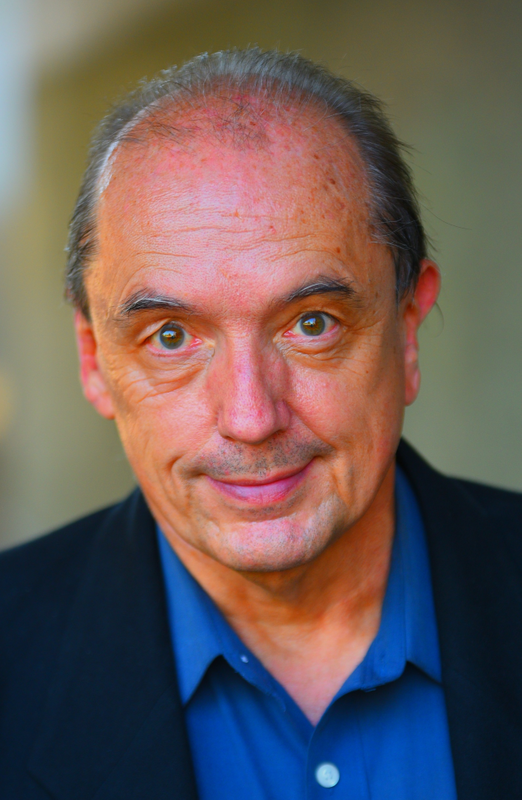 He is a contributor to Modernist Bread: The Art and Science (May, 2017), Savoring Gotham: A Food Lover's Companion to New York City (2015), the 2nd edition of the Oxford Encyclopedia of Food and Drink in America (2012), the Dictionnaire Universel du Pain (Laffont, 2010), and Consuming Culture in the Long Nineteenth Century (Lexington, 2007); he also photographed winemakers for The Wines of Chablis and the Yonne (Sotheby's, 1984). His work on the baguette and the croissant has been cited in the Figaro, Libération, the Smithsonian, and other publications.